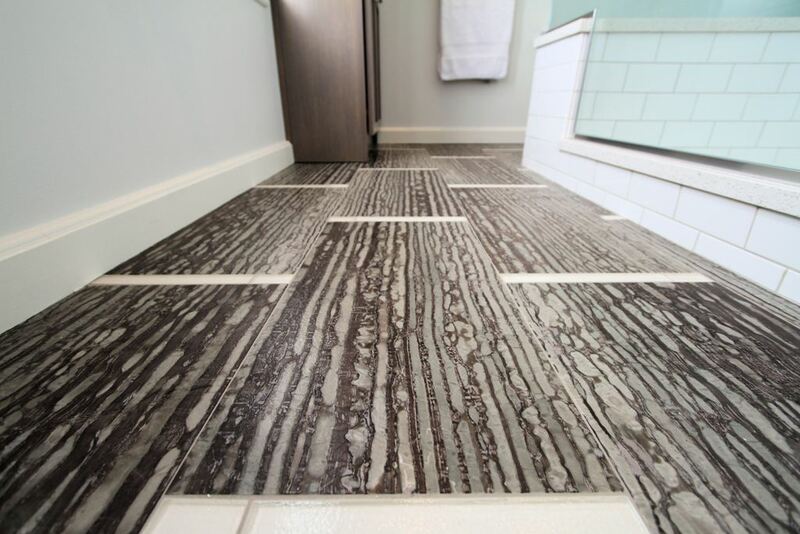 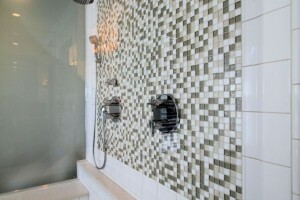 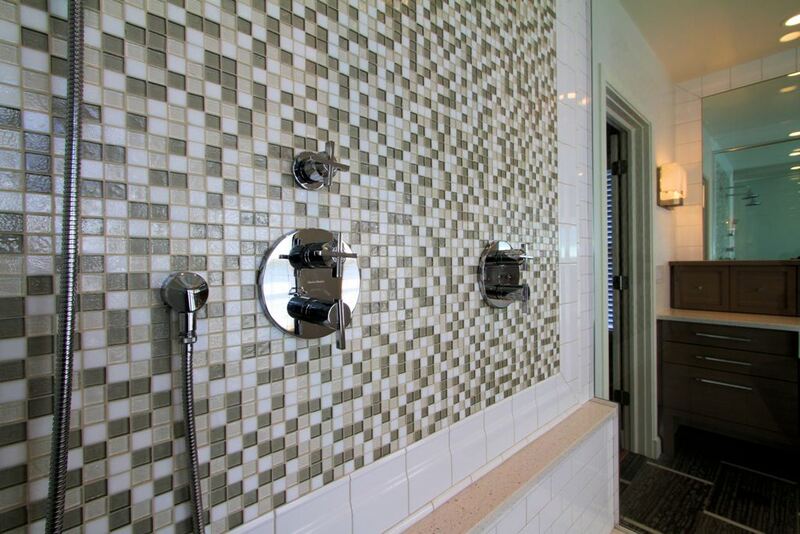 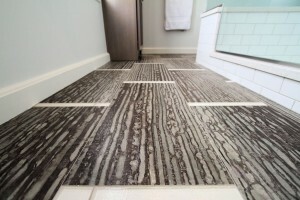 Many of the old homes we renovate lack a true master bath. 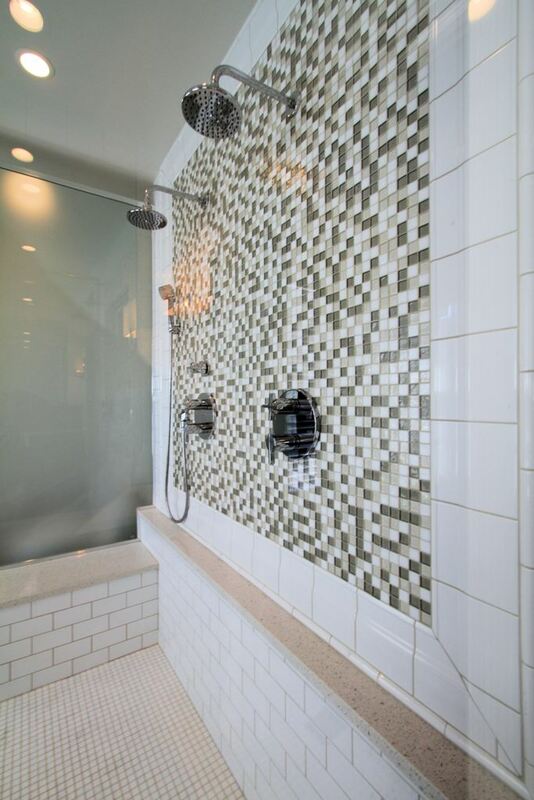 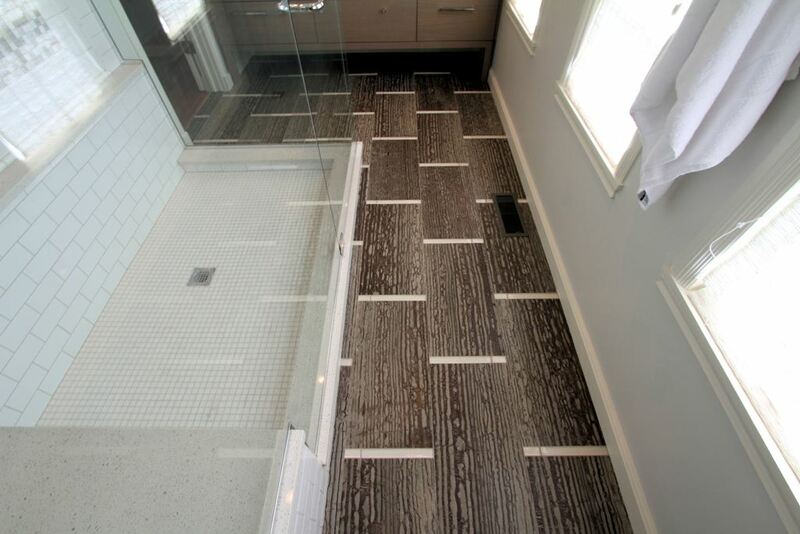 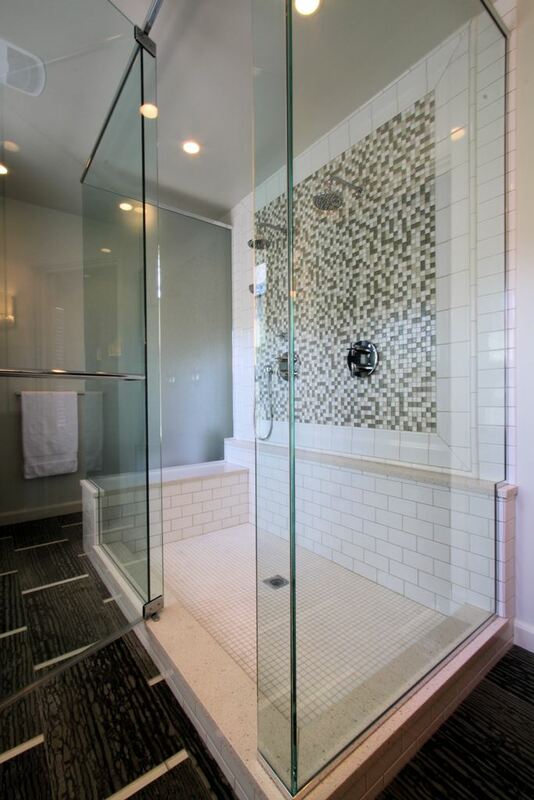 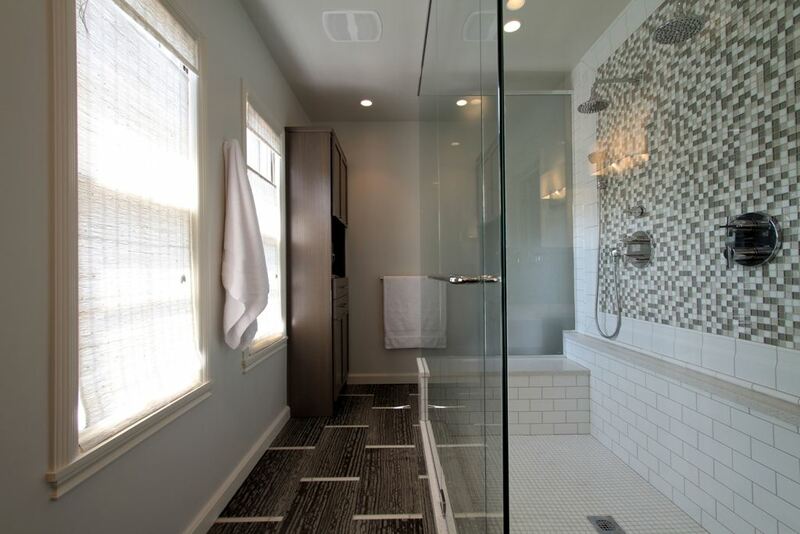 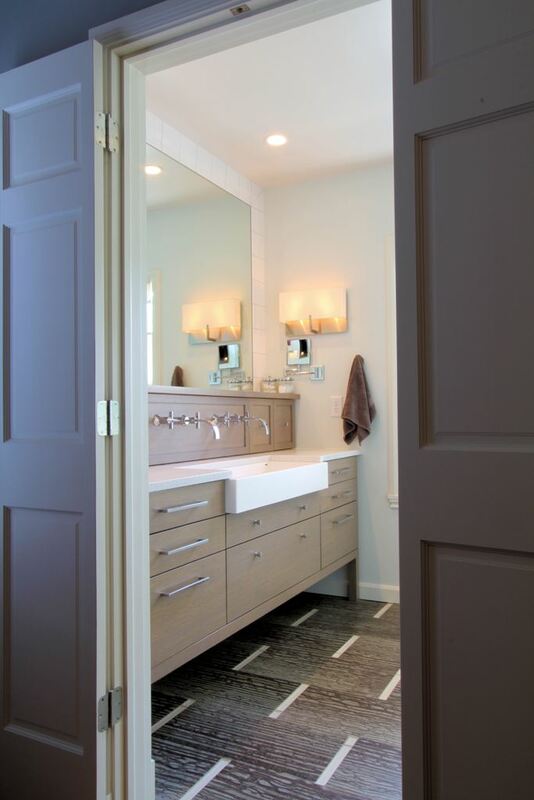 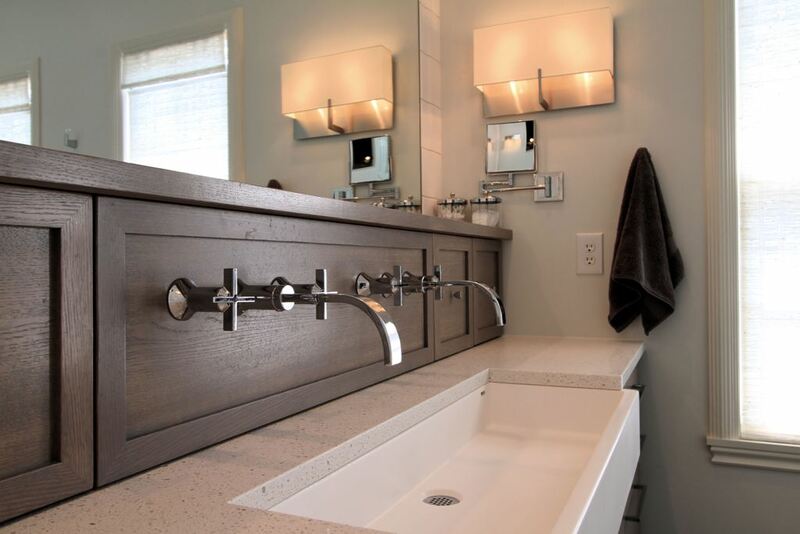 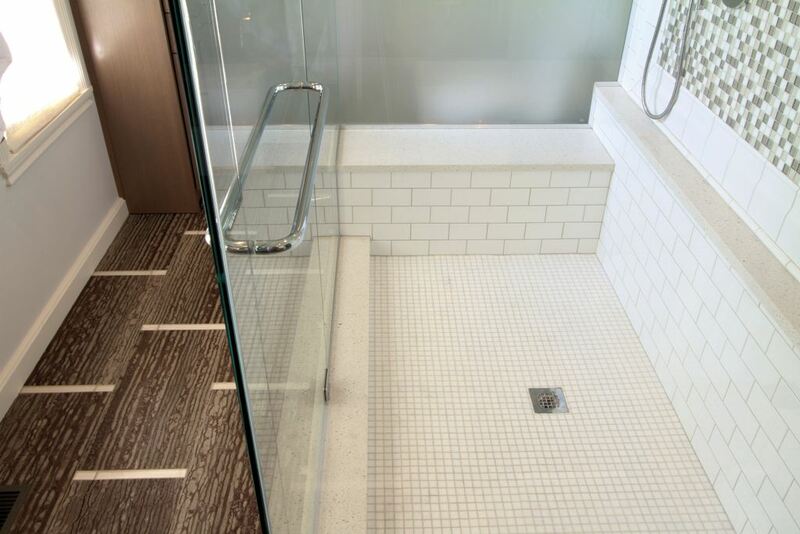 In the case of this north side Indianapolis bath remodel, the space was there–it just needed reconfigured. 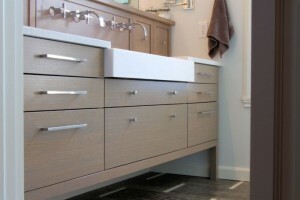 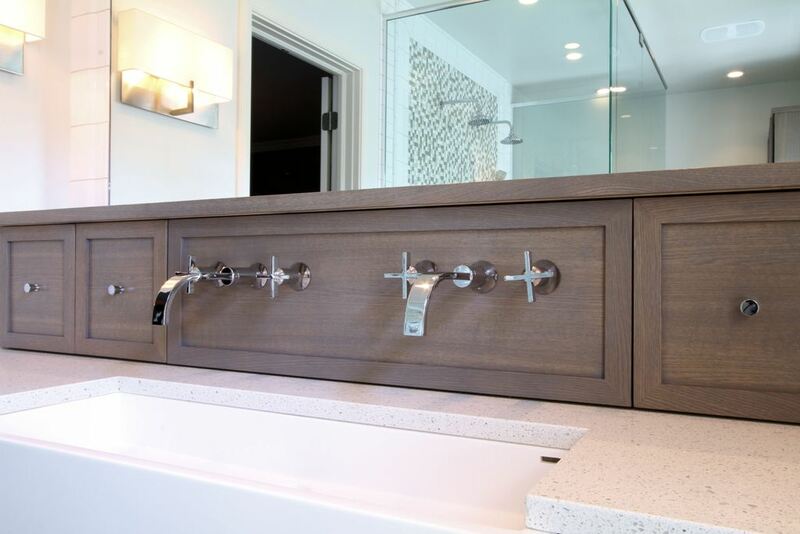 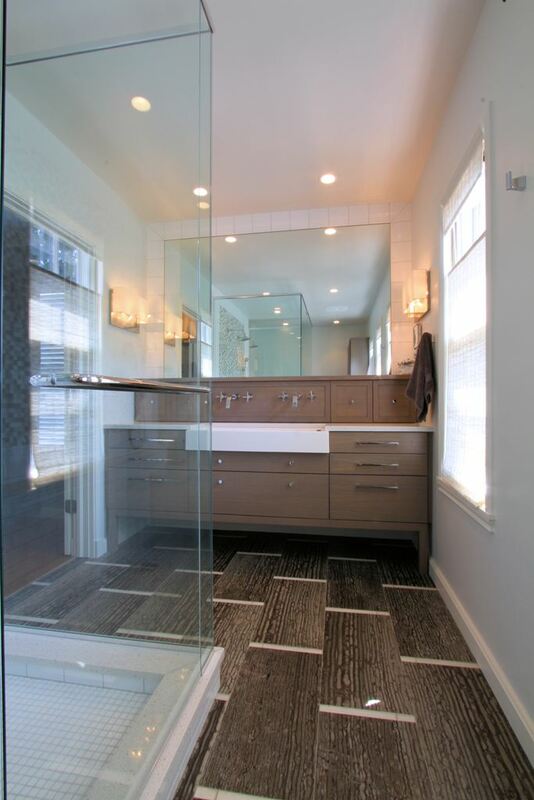 Our clients wanted their cramped bath expanded to create enough room for a dual shower and a dual vanity. 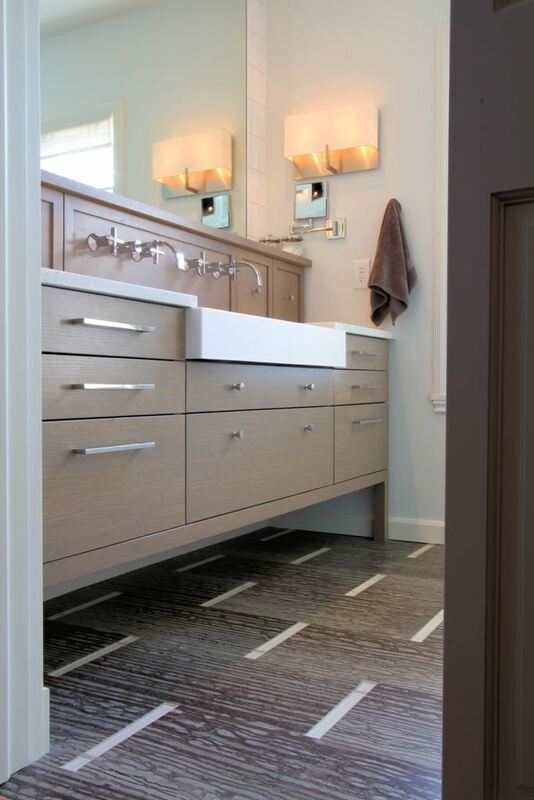 The original master bath space in the home included a wall of built-in cabinetry that served as a makeup and dressing vanity. 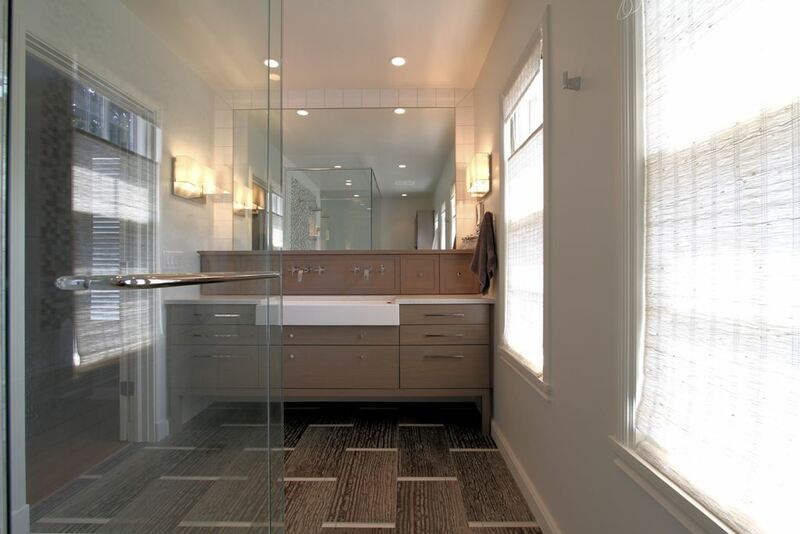 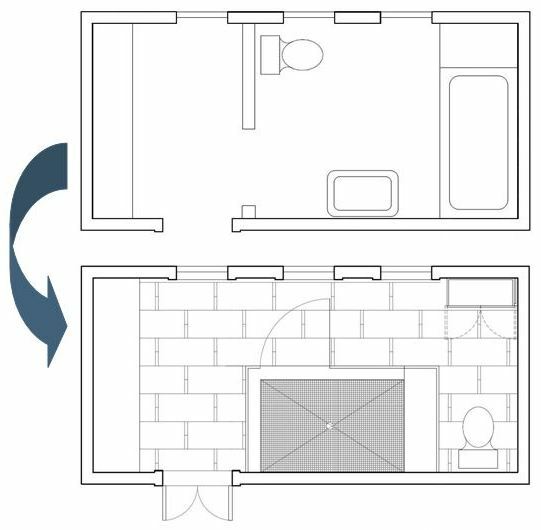 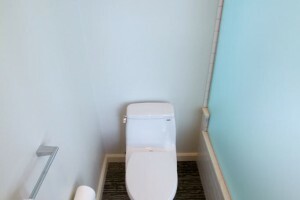 A partition wall separated this small space from the main bath area where the toilet, a single console vanity, and an arched tub alcove were located. 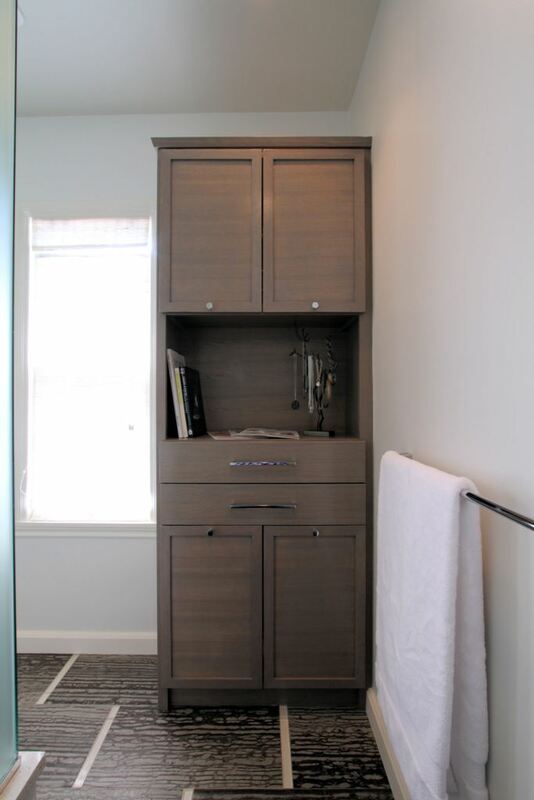 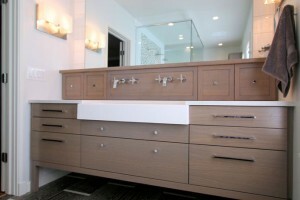 Matt’s plan called for the removal of that partition, and a new dual vanity in place of the makeup built-ins. 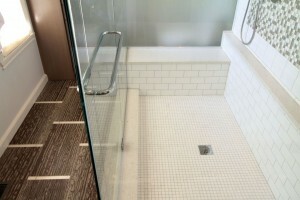 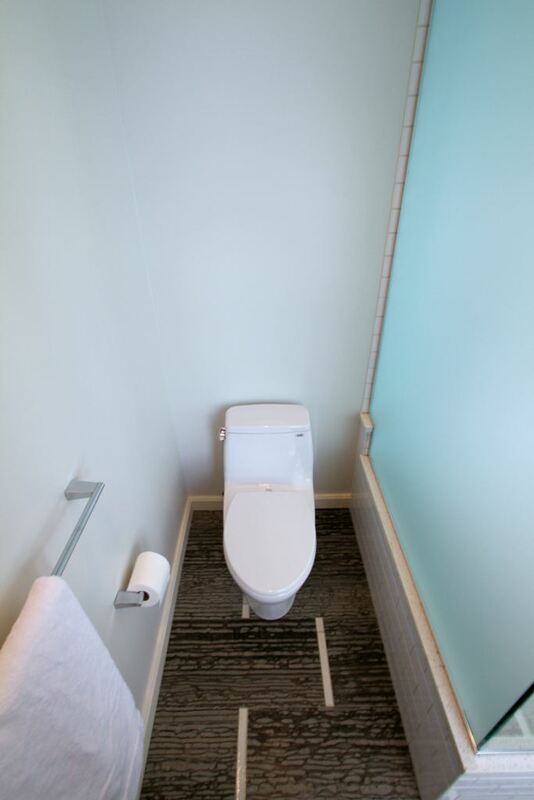 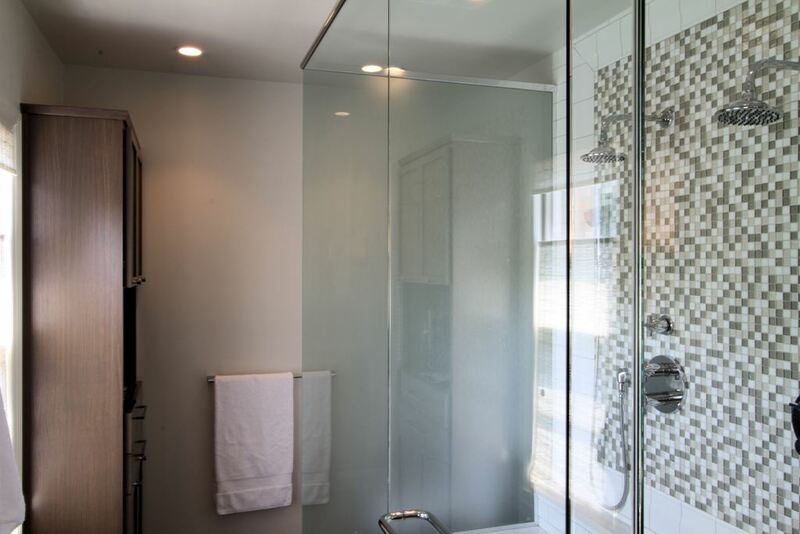 A two person shower would anchor the center of the space, with the toilet tucked away for privacy behind a sandblasted glass partition at the end of the room. 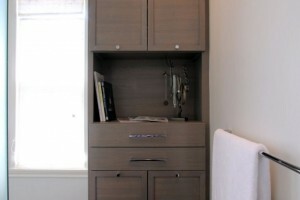 A tall storage cabinet would complete the outfit of the new space. 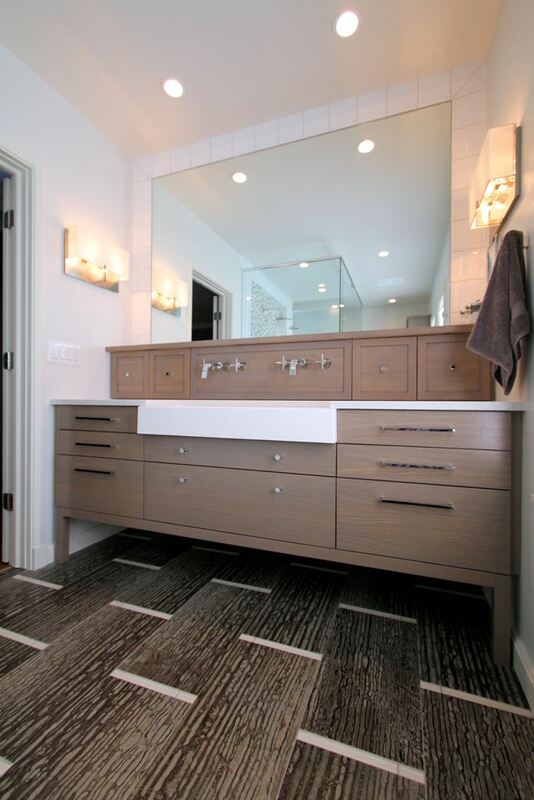 You might hate me now which is cool but that bathroom is so hot I just had to squee a bit over it anyway! 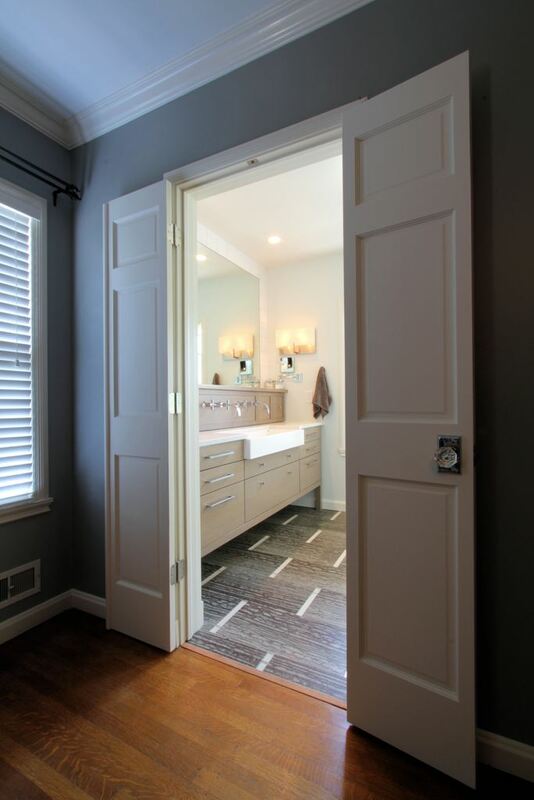 Excellent remodel job. 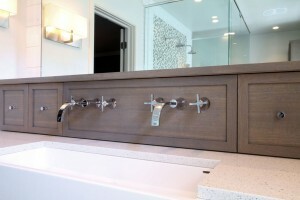 Its nice to see craftsmanship at its finest.